Heeft u een vraag voor Kyo-Akari Inn? Of u nu een toerist bent of een zakelijke reiziger, Kyo-Akari Inn is een uitstekende accommodatie tijdens een bezoek aan Kyoto. Vanaf hier kunnen gasten genieten van eenvoudige toegang tot alles wat de levendige stad te bieden heeft. Dankzij de praktische locatie liggen alle belangrijke trekpleisters in de buurt van het hotel. Bij het Kyo-Akari Inn staan de excellente dienstverlening en superieure faciliteiten garant voor een onvergetelijk verblijf. Enkele voorbeelden van faciliteiten die dit hotel biedt zijn gratis wi-fi in alle kamers, wi-fi in openbare ruimtes, kinderopvang, familiekamer, fietsverhuur. Hotelkamers zijn zorgvuldig ingericht om het hoogste niveau van comfort te bereiken, met plasma tv, draadloos internet (gratis), rookvrije kamers, airconditioning, verwarming in iedere kamer. U kunt de hele dag genieten van de ontspannen sfeer van de tuin. Ontdek een boeiende mix van professionele dienstverlening en een breed scala aan faciliteiten in het Kyo-Akari Inn. Ontbijt is niet bij de kamerprijs inbegrepen. De accommodatie biedt een meet en greet service aan. Nadat u de reservering heeft bevestigd, wordt er u per email nadere informatie toegestuurd. Inchecken is tussen 03.00 PM en 07.00 PM. Gasten die buiten deze tijden arriveren worden verzocht om tijdig contact op te nemen met de accommodatie om tot een andere afspraak te komen. Bagage-opslagruimte is beschikbaar. Vooraf reserveren is vereist. The accommodation is located in a convenient location near the subway. It is spacious and very neat and tidy. Its facilities including the two bicycle (rental free) were perfect. The owner was also very helpful. It was a value for money choice. Highly recommended. the house was spacious for 6 of us. Very nicely decorated. It had 2 single beds western style and the rest were futons. The comforters were super comfortable. The staff, kinu was very helpful. He even had hand drawn maps for what to do in Kyoto ready. We've just recently stayed at Kyo-Akari for 3 nights (23~26 Nov). 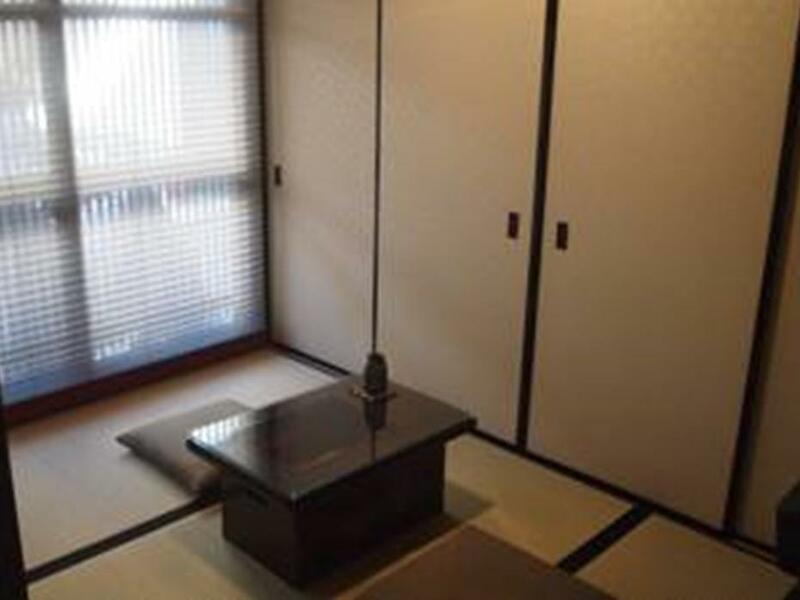 And, we were lucky enough to secure the house during the Japanese long weekend in Nov. As everyone knows getting a room in Kyoto could be a bit challenging during super peak season. Our host, Kuni-san, is very friendly and attentive. He spent more than half an hour (or maybe longer) to explain all the details to us, even recommended us few places to visit and restaurants nearby. Yes, we've tried Kubota Ramen (5 mins on foot), very very delicious! Our kids love it too... The house is very spacious for us (2 adults & 2 children), spotlessly clean and everything is well-prepared. It's well located and not too far from all the spots in our itinerary, we took taxi during the entire stay and the fare was very reasonable. We will definitely choose Kyo-Akari if we visit Kyoto again. Wonderful stay in Kyoto, comfortable room and helpful owner. It supplies us free bike and the location is near That means we can visit those place using a bike. I think it is good for people who love to experience normal Japan life and monuments. Near the hotel there are many supermarket and convenient stores, restaurants. And the owner also gives us many information about visit plan. It is real a good choice!!! The house is beautiful, very clean and well located. We stayed at the guest house from april 10th to april 15th 2014 and we loved it! It was the best decision we could have made. You get a true Kyoto home experience. Kuni, out host, was very helpful and attentive. We didn't have any tours booked, we wanted to make our own schedule and Kuni helped us out with some good local advice. The neighborhood is quiet, yet a couple of minutes walk from a major avenue. The bus stop is 30 seconds away by foot. There's a 24hr grocery store about 8 minutes away by foot. We stocked up and had our breakfasts at the house. The washer/dryer was very useful. We most definitely recommend it if you're in a group of 4 to 6. Maybe a couple with children also. Our stay was very enjoyable. The property manager sat down with us at the beginning, and helped us form a sightseeing plan, informing us of various special events around Kyoto, and about our transportation options. He provided us with special maps of the area highlighting important convenience and sightseeing spots. The building's interior looks very new, and is a beautiful and modern take on Japanese living. Everything was clean and stylish. There is a full kitchen furnished completely including cooking instruments, plates, cups, silverware, etc. Upstairs, there are three rooms, which can sleep a total of 6. 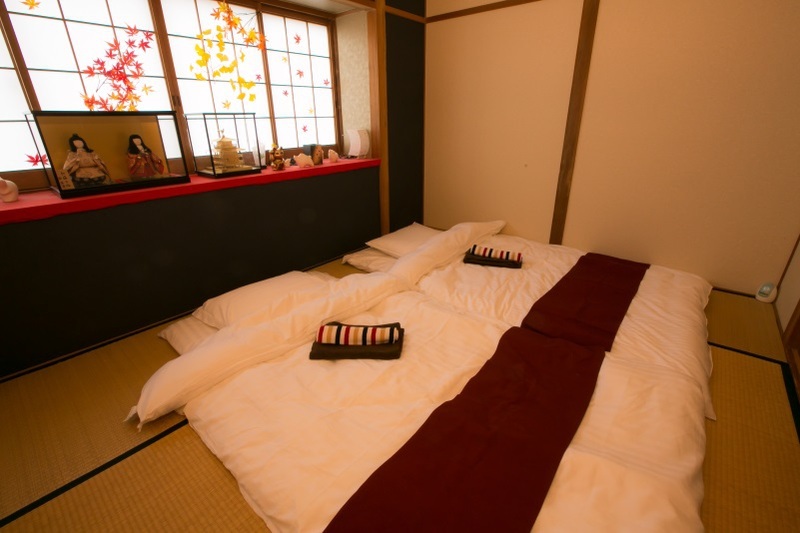 These are a combination of tatami-room, western-style bedroom, and a workspace/study/playroom.